Are we at the basic in-game "Q&A" stage of updates from Blizz? It makes me think they don’t actually want feedback. I think we’re not going to get updates until “it’s too late to change that, before launch, sorry.” Then they hope people get used to, and accept, the change before they have to fix it. That is blizzards typical mo. I still dont understand how peope still fall for it. At best they my lurk the reddit forums and say they have a sense of what the community wants. People forget: we’re not co-creators with Blizzard. We never will be. Well send them our love. he development is definitely moving along but it’s a complicated process and I don’t have any specific details to share at this point. how can you have nothing new after a few months when the game is set to release after half a year? I think it would be really cool and low effort if somebody would just toss a couple random screen shots up on the forum from time to time just to show how things are progressing. Hey this is pretty good insight. So then were you opposed to yesterdays Q+A that added nothing and didn’t answer any content that the players wanted to hear about after asking them to put in the comment section below the announcement of the Lore Development Stream what they wanted to hear about? Not that that was a good idea to begin with because everyone mistook what the Thursday Stream was actually supposed to be about and were asking Lore Questions in an attempt to get Answers, of which that was not a Q+A. “Nothing new to share” doesn’t mean that nothing has been done or that no progress has been made. It means that nothing finalized has made it through the process from ‘it’s coded into the game’ to ‘we’re ready to talk about it’. Which is a process all its own that is at best tangentially related to actual game development. He said there was nothing new “to share”, meaning they’re not ready to talk about their progress. You want him to play a game of forum charades with us just to pretend he’s telling us something new? Also my exact fear. They’ll “slip it in” as if we can’t feel it. Blizzard, don’t be that guy. I’s possible, I’m holding out hope that they’re busy fixing the most menial stuff possible (like lanterns) in every zone. Think about it - they went to great depth at Blizzcon talking about retro fitting the data tables to the current structure, then going on to show how they had to essentially fix the SAME ISSUE like 6 times for Westfall alone because of all of the different textures. I have my fingers crossed that they’re just busy combing through the rest of the zones for the same issues - considering they were likely off a good portion of December with Blizz’s vacation policies. Of course I’m not holding my breath and wouldn’t be surprised if what you’re saying is true, just trying to hold out some hope! The community gave them a massive list of discrepancies between vanilla and the demo. They most certainly have a lot of work to do. With all due respect, if you cannot even concretely answer something as simple as which AV version they are going to try to reproduce at a few months till release, it is hard to take it at all seriously or retain any interest in the project. Your level of credibility is, in case you havent been paying attention, flagging quite a bit. I don’t think you need to be so aggressive, but it is a bit strange they don’t have concrete answers 6ish months from release. I’m not saying they should have every little detail nailed down, but you would things some issues they could clear up. 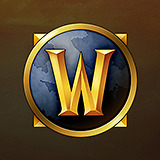 Take as much time as you need and let Classic be Blizzards revival of the old “SoonTM” motto you guys had back when you used to put out amazing products. I don’t get how people think this could be easy, no matter how much of the old game code and files are still around. This is something the devs have never tried before, and there’s bound to be goofs, missteps, “Oh god, why did that happen? !” and “What the BLEEP were they/we thinking back then? !” moments. Not to mention Murphy’s Law. 46.54 - might wanna add some more developers before that tanks even lower. That is all well and good, but few if any are asking about the technical background side of things. General content decisions should have been made loooong ago, and answering a couple of those would be HUGE. I mean if I am making my wife a sandwich and she wants to know what kind of sandwich I am going to make her, I do not simply tell her that proper harvesting of wheat is complex and easily fudged, I tell her what fricken type of sandwich I have planned. This is what for me is so frustrating. Blizzard has made sandwiches in the past, some good some bad. Wanting to know which sandwich has been chosen to be made should not be answered by “yeast is complicated”. This isn’t something they’ve done before. They don’t have a previous project to look back on and see what pitfalls to avoid and what problems may arise. Be honest – how do you think people would respond if they said “Yes, without a doubt, this version of X will be in the game!” and then something goes wrong, and it can’t be? A reminder – it’s not up to the CMs to decide which news to pass along to us. The Blues we encounter here are not developers. I understand that you said. But i think that would be so good if you guys update us for example which maps Devs did they finish until here or “Hey guys in this month we worked on these dungeons. We will work those in next month”. Perhaps because having a target is actually helpful when developing something, prior to beginning work on it. This is not some new never attempted collection of content. They are either going to choose things to replicate or just spew things against a wall in hopes that something sticks. I would like to think they actually have targets and a roadmap. Do you imagine that they would make an announcement of a release target without knowing what it is they are looking to provide? They don’t have a previous project to look back on and see what pitfalls to avoid and what problems may arise.